Being busy Londoners it’s fair to say that we can often neglect our dental health and fitting in appointments can be difficult. This is where RW Perio comes in as the private practice in Marylebone specialises in periodontal (gum) treatments. Founder Dr Reena Wadia has won the ‘Dentistry Top 50’ award, so you know you’re in safe hands. and her aim is to not only help patients achieve maximum gum health, but to also educate them on the importance of caring for your gums both at home and at the dentist too. The Polish and Perfect treatment takes just 30 minutes meaning you can be in and out with fresher breath and a sparkling smile in no time. There are three parts to the appointment; the assessment, advice and the airflow. The assessment is very detailed, involving a personalised consultation and in-depth examination before discussing any needs and concerns you may have. Reena then uses her years of expertise to give you advice on how to maintain and achieve the best oral health, from choosing the best products to use to discussing your specific daily routine. Then it’s time for the final part of the appointment, the airflow treatment. This is an advanced polishing technique and uses a combo of flavoured fine powder particles, compressed air and water… a bit like a jet wash. If you’re scared of the dentist you don’t have to worry because you don’t feel any discomfort or sensitivity at all. 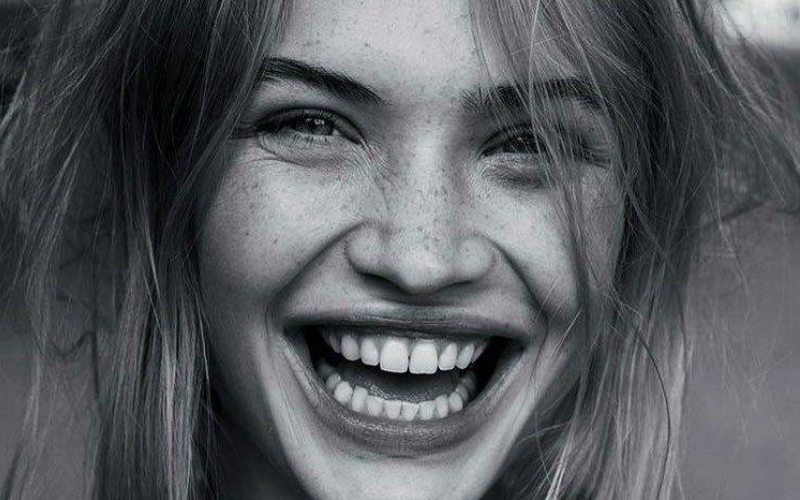 Not only is the session super speedy, the best bit is that the results are immediately visible meaning you leave with sparkling teeth!